Several people asked me why I chose Aveiro as a destination and honestly, it was all about its location. 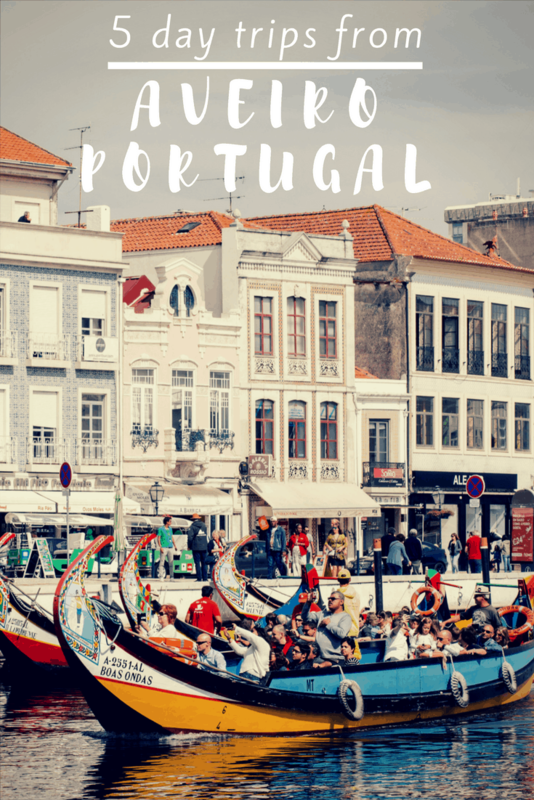 I wanted a town that was “central” to a few other destinations on our bucket list and Aveiro made it easy to pull off day trips to each of these places. 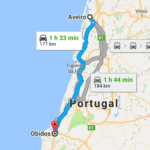 I would recommend renting a car from Lisbon after your stay has ended there and then heading north. 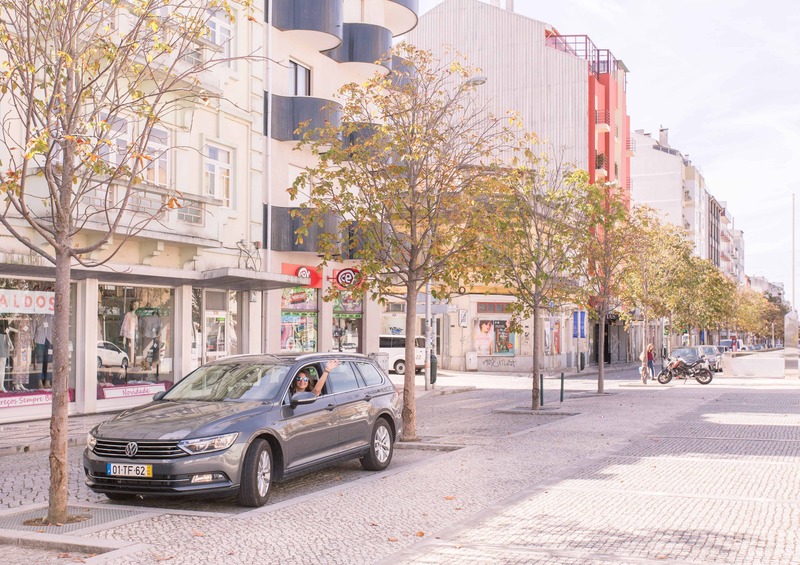 AutoEurope gave us a car to rent for our remaining stay in Portugal and they were super easy to work with. 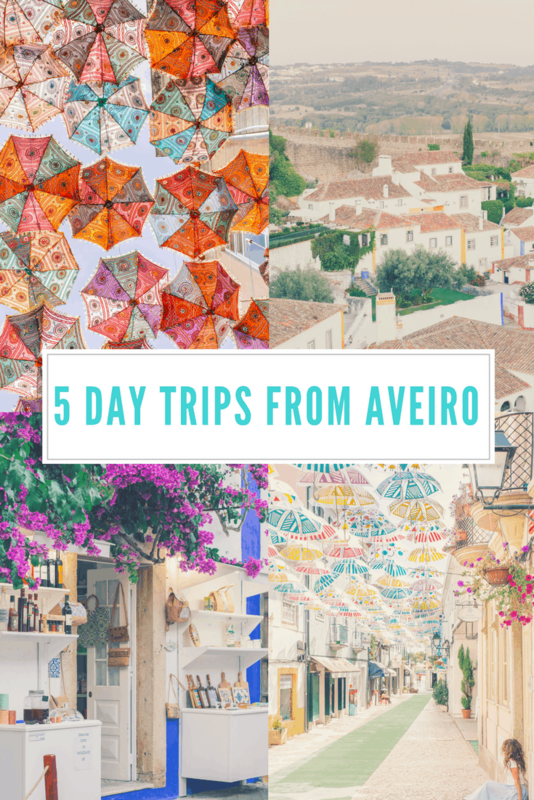 So did I love calling Aveiro home for the 3 days we were there? YES. In fact, I would’ve called it home for another 2 days had we had the time to extend our trip. 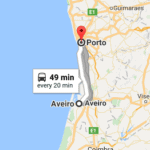 This is why today’s post centers around 5 day trips from Aveiro, all within 3 hours roundtrip. If you’re nervous about the 3 hour trip, don’t be. 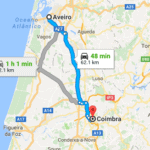 You can actually complete this trip on your way from Lisbon to Aveiro assuming you leave Lisbon early in the morning. So technically, all trips are under 2 hours roundtrip approximately, a typical commute for some people in the USA. 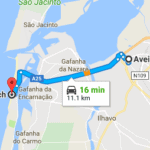 I’ve noted each day trip’s distance from Aveiro and included a small map for easy reference. 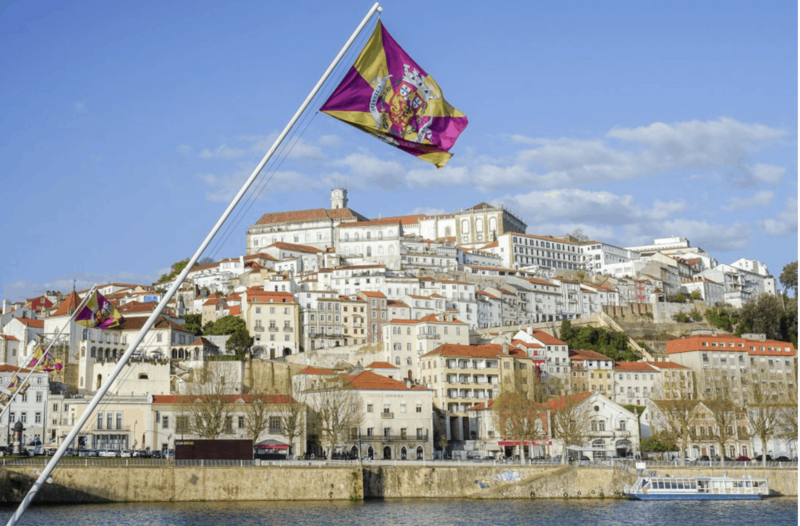 Several interesting facts about Coimbra: it’s a medieval town; it used to be Portugal’s capital; and it has a 12th century cathedral. 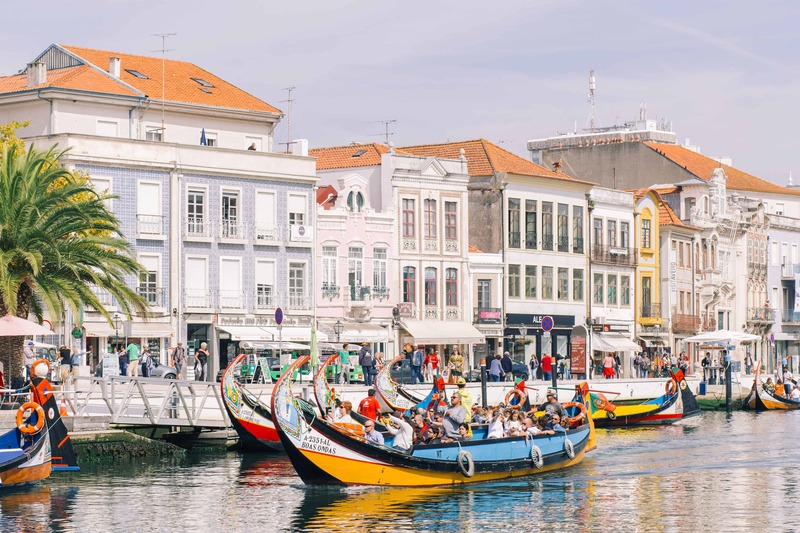 If that doesn’t convince you to visit during your stay in Aveiro, maybe these photos of the riverfront city will. I can’t tell you how disappointed I am to have missed this gem of a spot. Next time, Coimbra, I promise. Porto should not come as a surprise to you. Most everyone who visits Portugal ends up going to Porto and in fact, most people actually stay in Porto for at least a night. You may opt for that idea instead of doing it as a day trip but regardless, a day trip is completely doable. 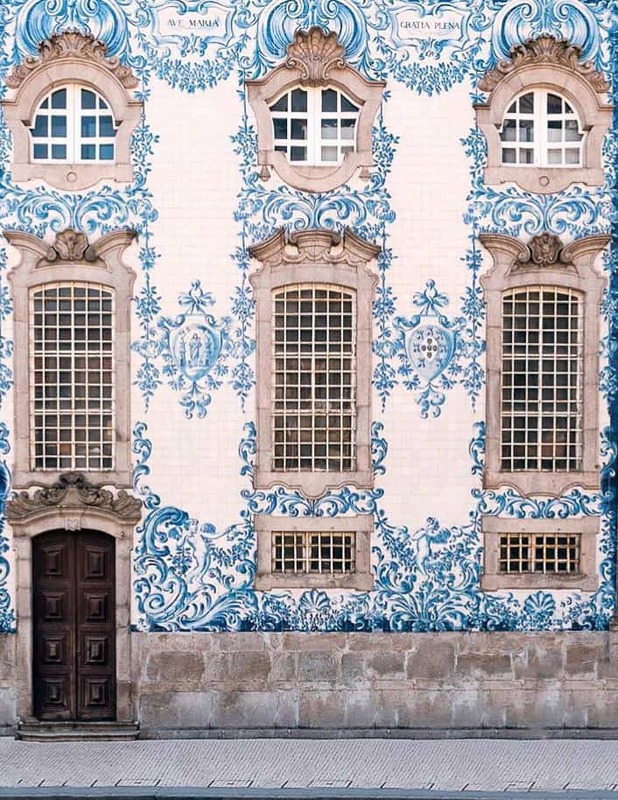 Porto is known for its uniquely “stacked” buildings and it’s gorgeous blue tiled walls. And most importantly, for Porto wine, a must-try when you’re in Portugal. 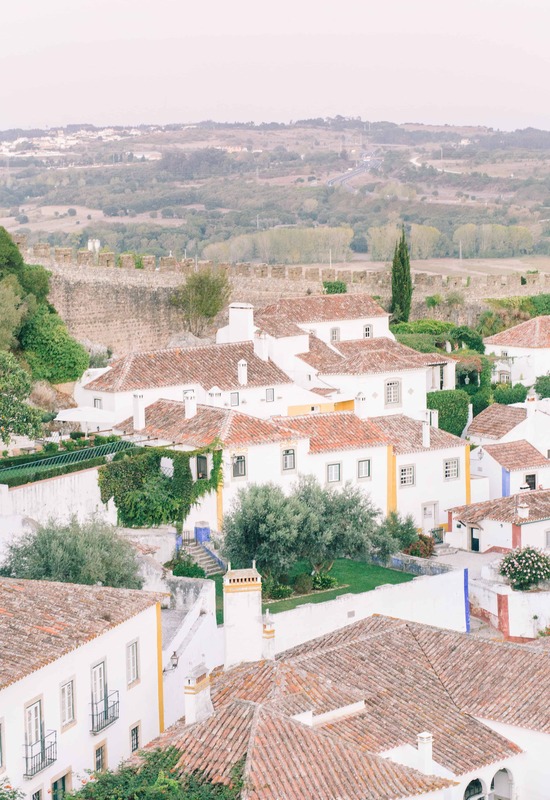 Óbidos is a total dream. 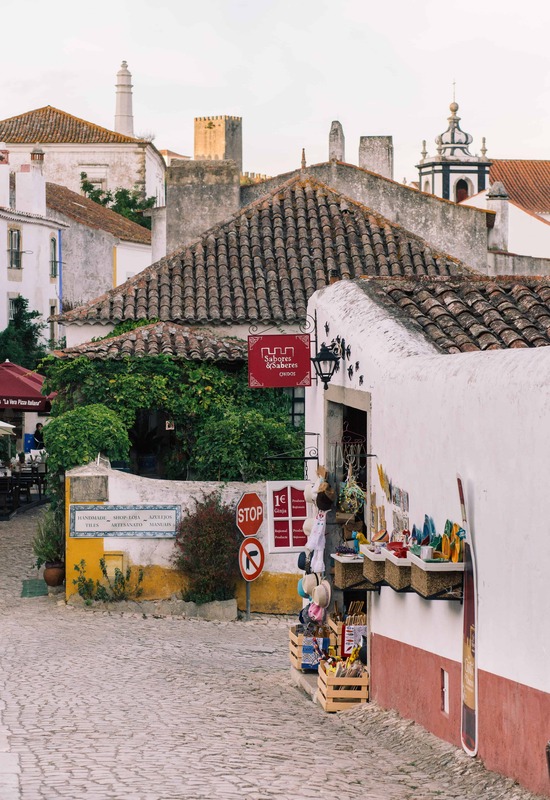 In fact, if you have plenty of time in Portugal, I would even recommend staying here one night just to experience this medieval village in its sleepy evening state. Otherwise, a day trip is perfect. 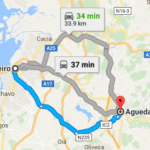 As I mentioned earlier, I would make this a stop on the drive from Lisbon to Aveiro. It’s along the way and is a great way to break up the monotony of driving. 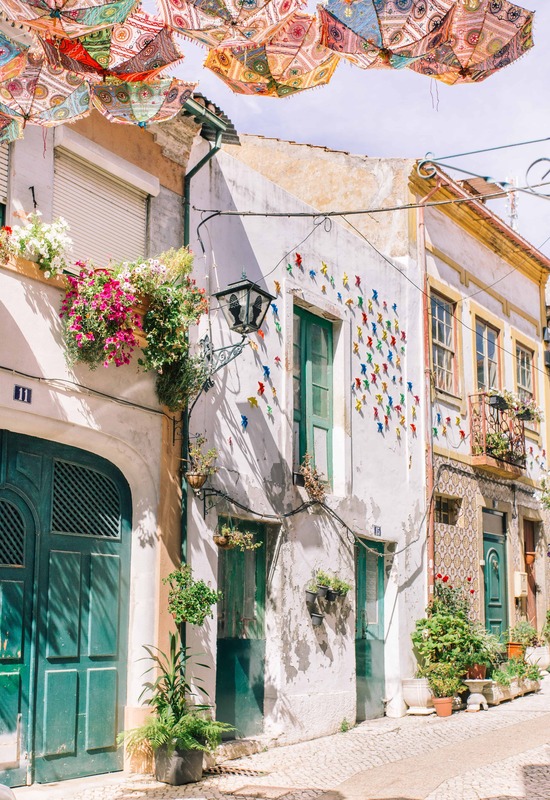 We foolishly left Lisbon too late so we only had a few short hours here but if you leave Lisbon around 10 am, you will have plenty of time to fully explore this adorable city. 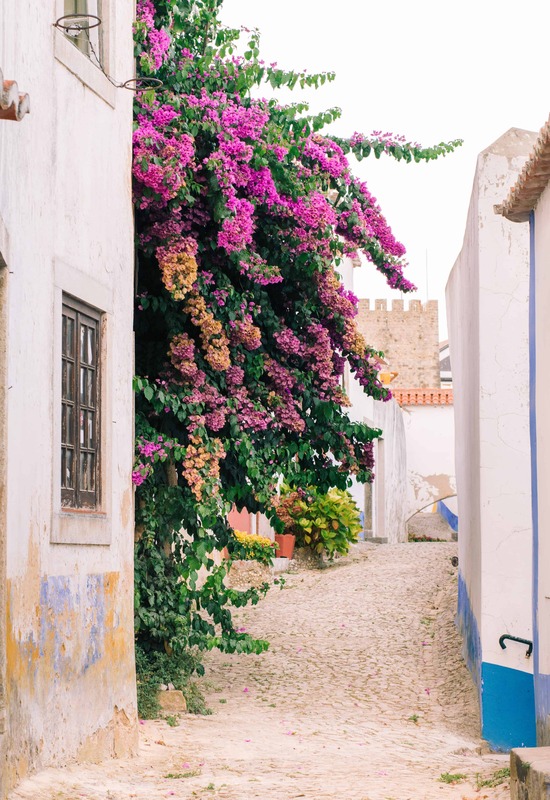 Óbidos is only accessible by foot so you’ll have to park where the old city gates are – you can’t miss it. Stroll through the main street and make sure you make your way to the top of the city where the lookout is. We accessed it by climbing some rocks (probably shouldn’t be recommending this method lol) up to stairs but we did notice another set of stairs further down. The views are pretty amazing at the top – you’ll be able to look out over the entire town plus be able to capture views outside the city walls. Costa Nova is a beach about 15 minutes away from Aveiro – parking was easy in September. We found plenty of street parking. 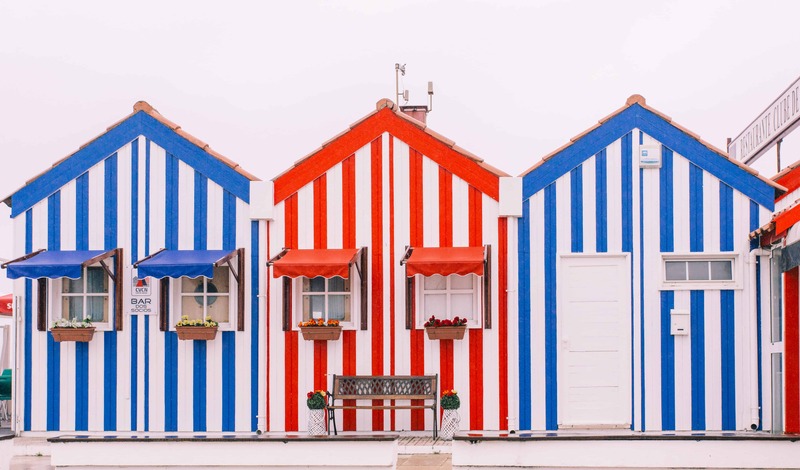 This is where all the amazing striped house photos on Instagram come from. You may have seen them with the #Aveiro but technically this is the Aveiro district and not actually Aveiro according to the map. If it’s a nice day out, you’ll want to swim because this beach is gorgeous. However, if your day is rain and gloom like ours was, you may want to shoot some photos and then just head over and grab some food. 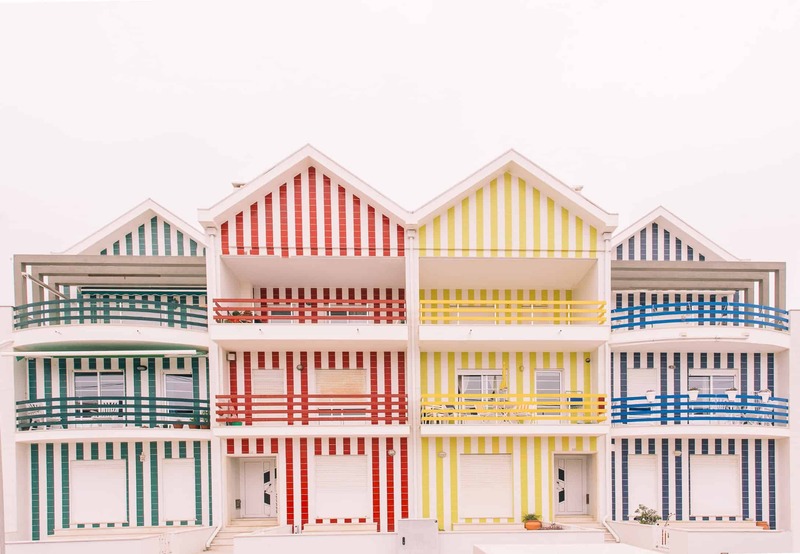 Either way, the town is like a treasure hunt – you walk around searching for the best and most colorful houses to photograph. 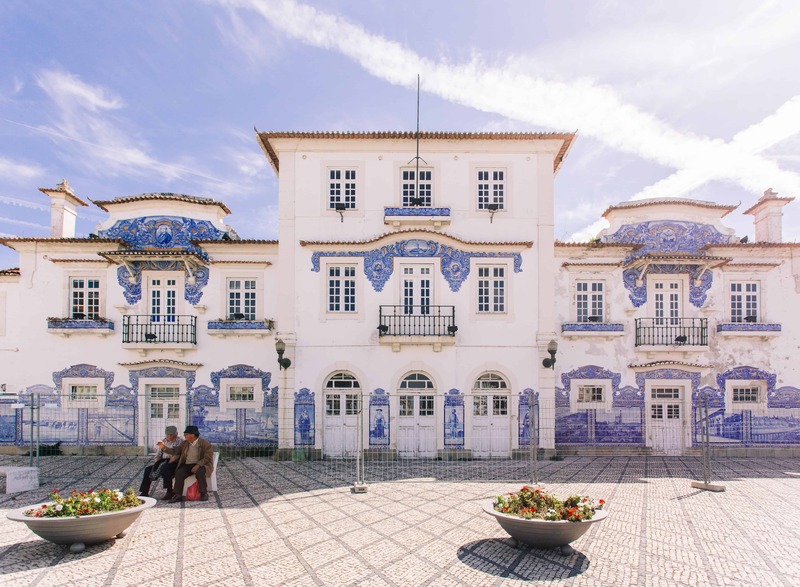 Agueda is in the opposite direction (towards the west) of Costa Nova so while we did both locations in one day, you’ll probably want to do them in two different days and spend the evenings exploring the town of Aveiro aka home itself. 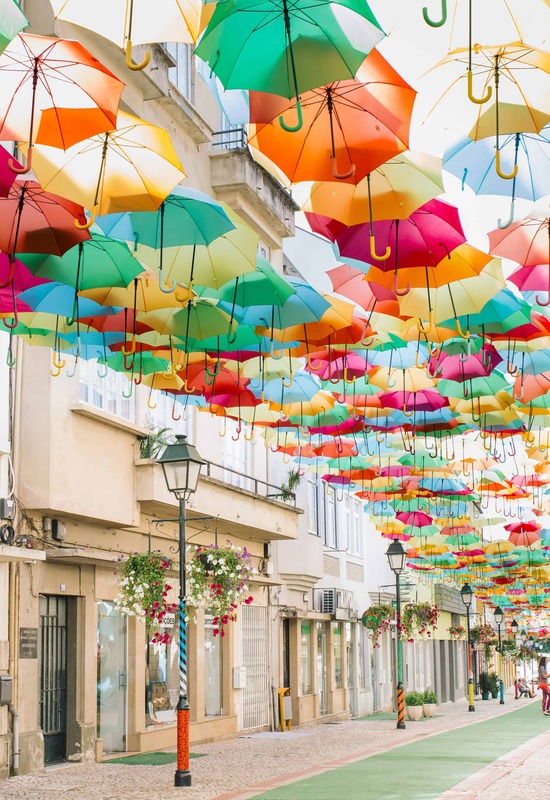 Agueda is where all the umbrella installations are. 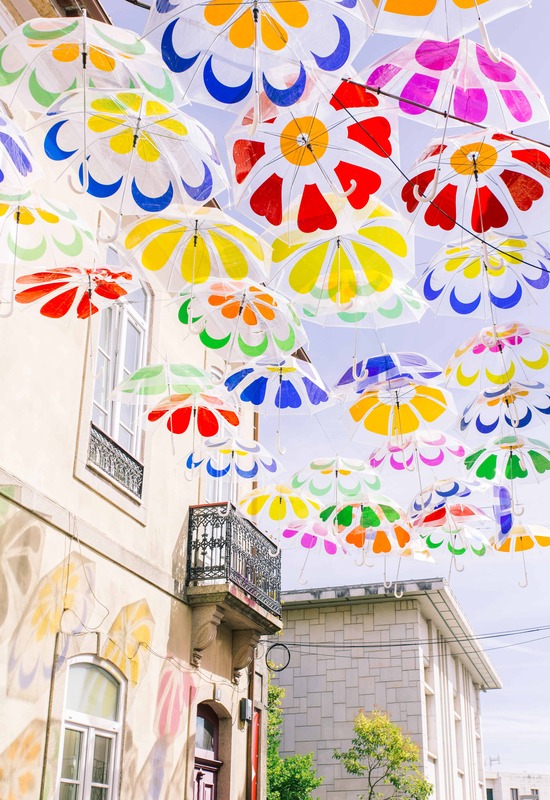 I’m sure you’ve seen them all over Instagram, again labeled as Aveiro but while Agueda is in the Aveiro district, you’ll need a car to drive just over 30 minutes to reach the pretty umbrellas. 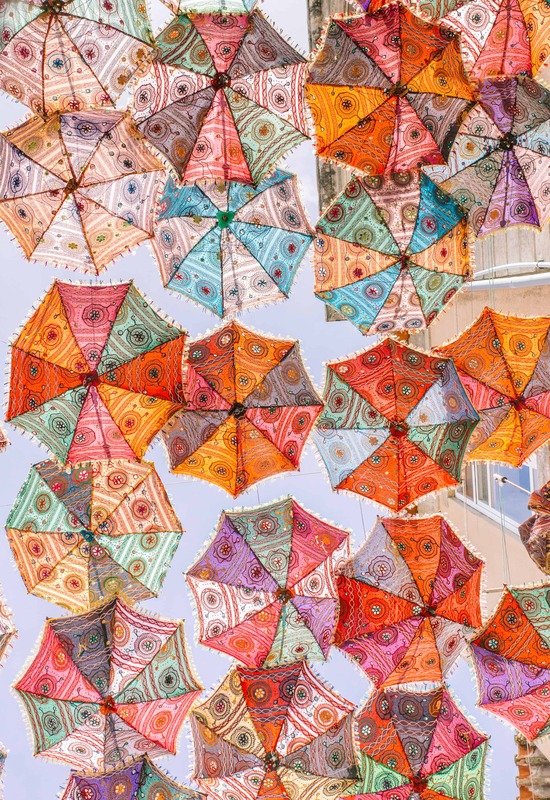 There are quite a few installations scattered throughout the town so make sure you venture down ever street to take in every one. 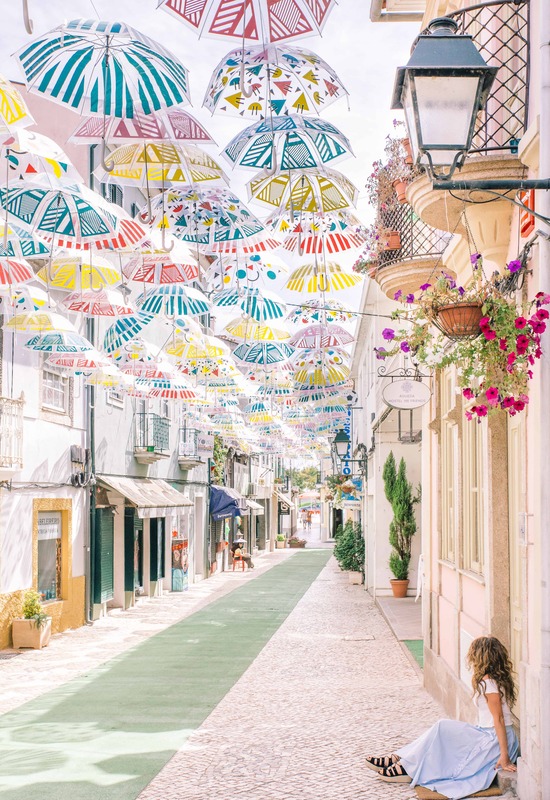 Note: we parked as soon as the GPS recognized we entered the village of Agueda and were pleasantly surprised to see a cute umbrella installation right in front of us. This is the road we followed all the way into the heart of the town. These places are incredible! Love all the colors! I really need to go to Portugal and stay there for 2 or 3 weeks. It is a country I have dreamed for a long time. I’m dying to see Portugal. This is such a great insight. I’ll save this for my 2018 trip!